Modern flare and upscale traditional styling abound in the Paradigm sofa! 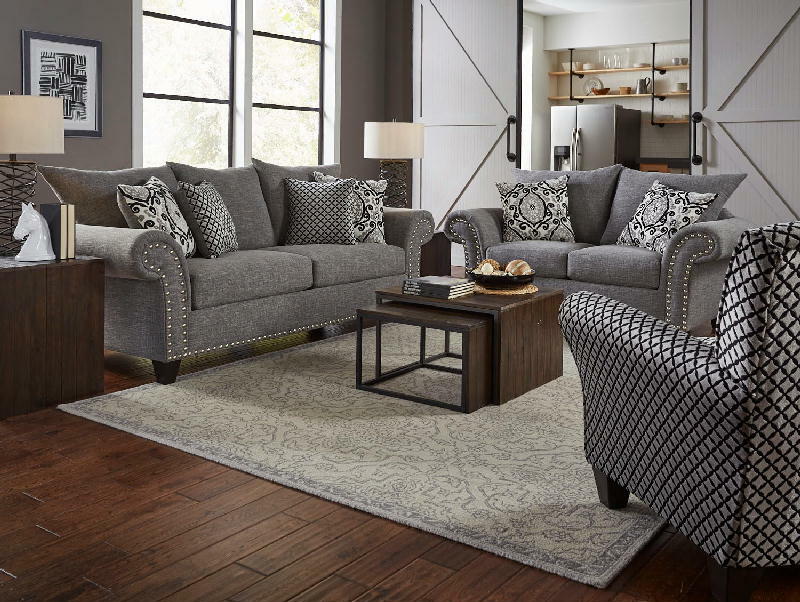 This carbon gray sofa perfectly combines inviting upholstery, flared arms, and nail-head accenting to give you a piece that is approachable, stylish, and eye-catching. Add plush cushions to the mix and you and your family will be relaxing in no time!